Yeees, yeees, we know that we promised to publish a new entry here every Wednesday, but thing is, I suffered a (surprisingly messy) wisdom tooth extraction and I’ve been too busy gobbling down painkillers and feeling sorry for myself. But at least I don’t look like Quagmire or Popeye and thinking too loudly doesn’t cause me pain, so here we are again to share some PR tips and tricks for you, indie devs! This week we will talk about press releases. Even though we think that it shouldn’t be your one and only way to approach the media and to spread the word about your game, it is indeed a very important tool. I’ve been asked many, many times how to write a press release. There’s a bit of instinct and talent about it: journalists and marketing experts tend to be, or at least should be, good with words; we find very easy some things that other people struggle with. “Write well” is not exactly a useful piece of advice, first because it’s obvious, second because that’s easier said than done. But there are other things which can be easily implemented once you know them, so let’s see, in a nutshell, some tips for writing a good press release. Or, as an SEO expert would say, 7 Tips On Using Press Releases About Your Indie Game (why the hell they capitalize every single word, I wonder). I’ve been asked many, many times how to write a press release. There’s a bit of instinct and talent about it: journalists and marketing experts tend to be, or at least should be, good with words; we find very easy some things that other people struggle with. “Write well” is not exactly a useful piece of advice, first because it’s obvious, second because that’s easier said than done. But there are other things which can be easily implemented once you know them, so let’s see, in a nutshell, some tips for writing a good press release. Or, as an SEO expert would say, 7 Tips On Using Press Releases About Your Indie Game (why the hell they capitalize every single word, I wonder). 1. Pick your battles. is this really press release material? Take your time to decide if you have to send this as a press release or not. On the one hand, since its goal is to get the press write a piece of news or an article about you, a press release should be about something newsworthy. If you keep sending releases about trivial things, people will see you as the boy who cried wolf too many times, and when you send important info it could pass unnoticed. On the other hand, sending a press release is much more work than you realize, as you will see very soon. Save your strength for the real fights. That’s not to say you shouldn’t try to get your voice heard about minor topics, but there are other ways: development diaries, writing on your blog or as a guest writer, social media, post-mortems… You have many tools: use them! 2. Give your press release the time it deserves. Don’t scribble a few lines and hit send. It’s not only important because of the info it contains, but because of what it says about you and your brand. If you are not a great writer, at least try to avoid grammar mistakes – I mean, it’s obvious that I’m not a native English speaker, but I proofread very carefully my texts. Use images and screenshots in a good resolution, but not so heavy that they obliterate anyone’s inbox. 3. Structure the information. Remember that you are most likely sending what you want to become a piece of news, so try to structure just like that. Put the most important info, what the press release is about, in the first paragraph. For instance: you will release an expansion for your game on February 28th. Use the second or third paragraph to offer some context: your game was released on January 10th for PC, it costs €X, it is about this and that. Then you can quote some good reviews or talk about your studio or whatever. Of course, you are not a journalist here: you don’t have to follow strictly the 5W rules or the inverted pyramid, and your goal is to put your product under the best light, but it’s very useful to have in mind how journalists think and structure info. Read more about the inverted pyramid here. 4. Make journalists’ life easier. A journalist receives easily dozens of emails on a daily basis – or even more than a hundred. It is difficult enough to get noticed with so much noise, so at the very least you should make their life as easy as possible. If they have to Google you to find more info, chances are that they just won’t. Include all relevant data about your game (release dates, platforms, prices, etc.) and a link to a press kit with visual assets, more details about your studio… Presskit() by Vlambeer is a good template to follow (although it always looks better if you use your own personal, customized material). 5. Pick up the right time to hit the Send button. Never send a press release on Monday mornings or Fridays. Mondays are for the most important news and those pile of stuff that happened during the weekend. On Fridays, every single writer in the world is looking intently at their watches. They are wrapping up the week, waiting for the bell to ring to go home; if they even notice a press release coming in half an hour before the weekend, they will just ignore it unless it’s GTA VI being announced. Having said that, you should also check the triple-A industry for important releases, announced trailers or online meetings… You may not be a fortune teller capable of guessing the future, but if next Tuesday there will be a huge AAA release, it’s very likely that during the next days no one will talk about anything else. Unless you really don’t have an option, just wait until all the fuss is over. 6. Follow up with your most important targets. After you send a press release, it’s time to follow-up – that is, to send direct emails in order to check if they saw your press release, and maybe to ask politely if they plan to write something about it. Even though there is no rule about how much time you should wait for following up, as a rule of thumb I would wait two or three days. Allow me to dress Captain Obvious’ cape for a moment: press releases will be more efficient with people interested in what they say. Following up with hundreds or thousands of press contacts is just not feasible, but if you know beforehand the most important people you would like to read your stuff, you can focus on them. Research a little bit for relevant media and journalists: websites specialized in your platform of choice, writers who like a particular genre… and send them direct, personal, customized follow-up emails, maybe mentioning a past story or review they wrote that is relevant and that made you thought that they will love your game. That is always more effective than sending a generic email to a hundred people in COO. 7. Don’t take it personally if they don’t answer or publish anything. Again: journalists receive dozens or emails per day. They just can’t cover or answer to everything, even to personal follow-ups. There are magazines whose journalists never answer back, probably as an internal rule to improve efficiency. It’s not personal and you shouldn’t get depressed or grudge them for that: there are thousands and thousands of games out there. 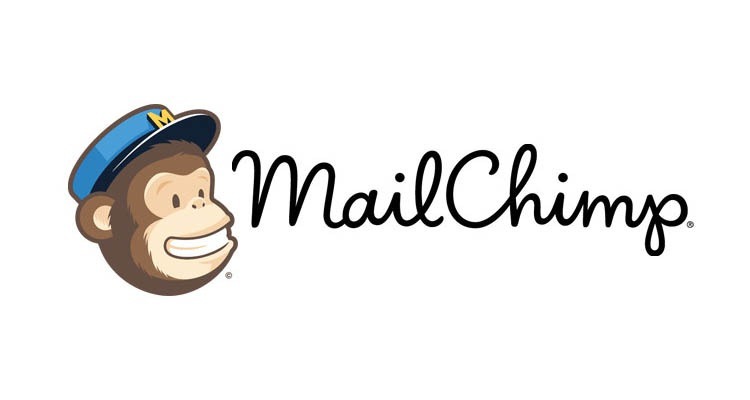 Just as a mark of reference, games industry average open rate in Mailchimp is as low as 12.52 % (our average open rate is much, much, much higher than that, mind you – if you want more details, send us an email!). A PR needs to be tireless, working painstakingly and patiently to get your brand and products noticed. It takes talent, hard work and a bit of luck – but you have to be there when the luck comes! These are a few general, introductory tips on using and sending press releases; in the future, we will go into more details about how to write them to be attractive and engaging. We hope you find this tips useful for your PR work! If you want to comment our tips or suggest topics for future posts, don’t hesitate to participate in our comments section or ping us in our social media.